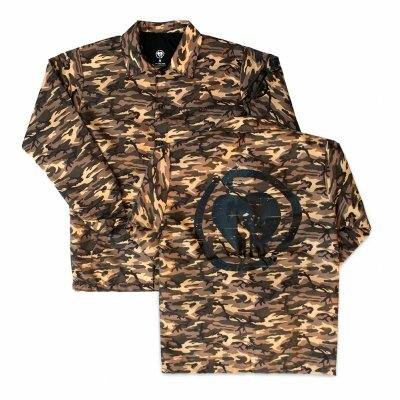 After carrying them this summer, we wanted to make a small run of these camouflage Heartfist windbreakers available on the US webstore We are only making a 150 for the online store for this fall and these are lined, water-resistant jackets hand-stitched in California. The outer shell and all components were done here in the US. The print has the band logo on the left pocket, sleeve print and a large back print. We love that we can do cool projects like this with small businesses and fair labor so thank you for the support.